A Stolen Life, which sold nearly two million copies, told the story of Jaycee's life from her abduction in 1991 through her reappearance in 2009. Freedom: My Book of Firsts is about everything that happened next. "How do you rebuild a life?" Jaycee asks. In this book, she describes the life she never thought she would live to see: from her first sight of her mother to her first time meeting her grownup sister, her first trip to the dentist to her daughters' first day of school, her first taste of champagne to her first hangover, her first time behind the wheel to her first speeding ticket, and her first dance at a friend's wedding to her first thoughts about the possibility of a future relationship. 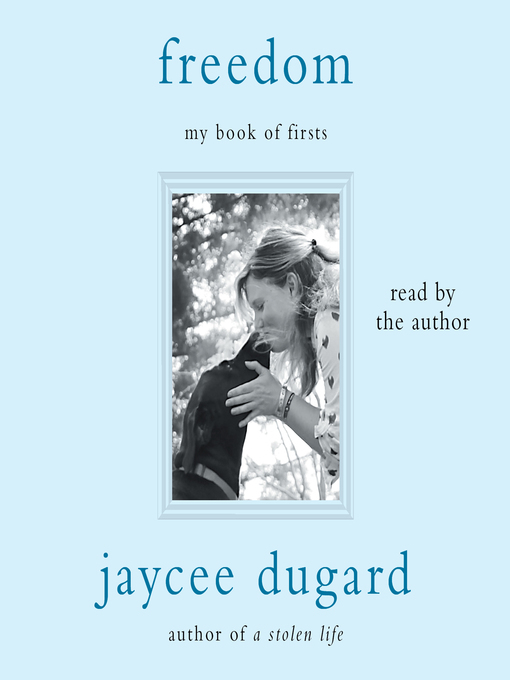 This raw and inspiring book will remind listeners that there is, as Jaycee writes, "life after something tragic happens...Somehow, I still believe that we each hold the key to our own happiness and you have to grab it where you can in whatever form it might take."